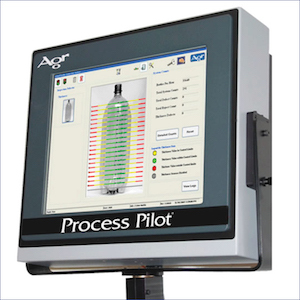 CrystalView™ is a camera-based measurement system that works in conjunction with the Agr Process Pilot product. It is designed to provide PET bottle manufacturers, who use the chilled mold process, with a simple, reliable and hands-free means to accomplish the optimization of PET material properties without overstretching or going beyond the temperature boundaries that cause molecules to break and create pearlescence (crystallanity). 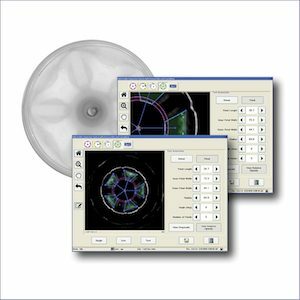 The CrystalView system manages the process to the point where it is “just right”; avoiding the creation of pearlescence by detecting the very edge of where the process gets too cold and pearlescence begins to form. With CrystalView, it is possible to reduce the preform processing temperature to the ideal processing point (as much as 10 deg. C) for a given bottle design. Measure every bottle to identify variation. 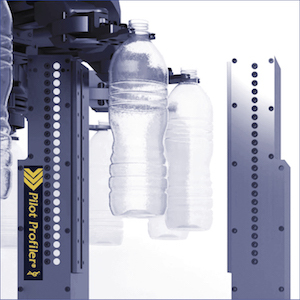 Control the blowmolder, proactively managing target distribution, to eliminate the effects of process variation.